In California, employees have many protections under state and federal law. Unfortunately, many employers fail to observe these laws. These unlawful actions can have a devastating impact on a person's career. If you have reason to believe your employer has taken some type of illegal action against you, it is critical to discuss your situation with an experienced employment Attorney. 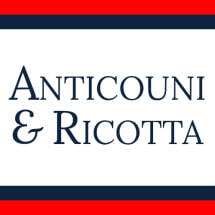 Anticouni & Associates, based in Santa Barbara and representing clients across the Central Coast, has become known as a leader in the field of employment law. Attorney Bruce Anticouni, who has practiced employment law for more than four decades and leads our law firm. All told, our four lawyers offer more than 70 years of combined experience. We represent employees in the full range of employment cases, including discrimination, wage and hour claims, sexual harassment, retaliation and wrongful termination. We have recovered more than $110,000,000.00 for employees in both indivdual claims and class-action litigation. Our track record is a testament to both our abilities and our dedication to our clients. Our law firm also represents employers. We have helped hundreds of Central Coast businesses develop effective strategies to comply with employment laws. We also defend employers against employees who have asserted claims against them. The insight and experience we have gained representing clients on both sides of these issues provide significant benefits to our clients. We offer free initial consultation to discuss your situation in detail.